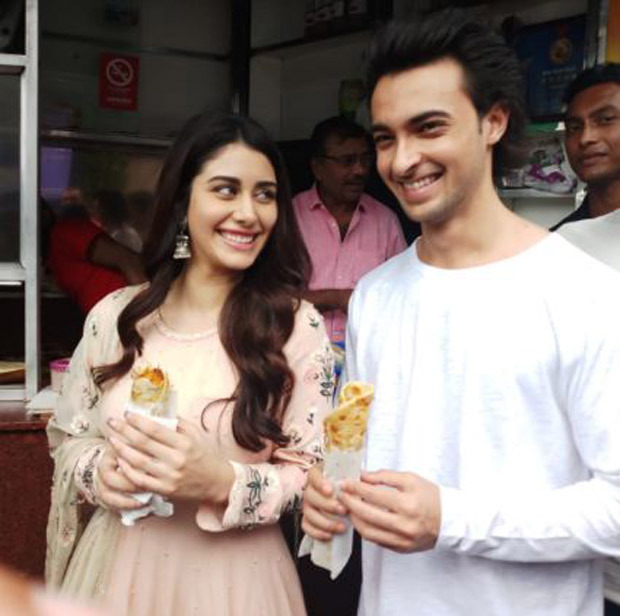 Aayush Sharma and Warina Hussain took a trip to Kolkata to promote their upcoming movie, Loveratri. 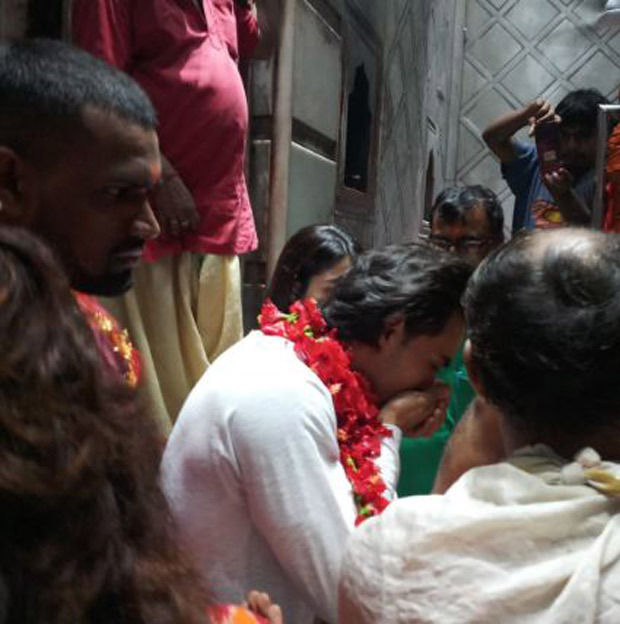 During their visit to the city of joy, the two actors visited the Kalighat Temple to seek blessings from the goddess Kali. Kolkata is known for its street food and the young stars spent a considerable time gorging into the authentic Bengali delicacies and interacting with the fans in the city. After spending ample amount of time at the famous Kali Temple, Aayush, and Warina had the famous egg rolls and kathi rolls from the local food joints of the city. While promoting the new song gorging into the lip-smacking street food, Aayush and Warina also clicked pictures with the fans. ‘Akh Lad Jaye’ is a perfect party anthem from Jubin Nautiyal and Aseez Kaur. Before Kolkata, the talented actors visited Baroda for the launch of Loveratri’s first song ‘Chogada’. Loveratri revolves around the love story between Aayush Sharma and Warina Hussain. It is written by Naren Bhatt who is based out of Mumbai and was born in Bhavnagar.